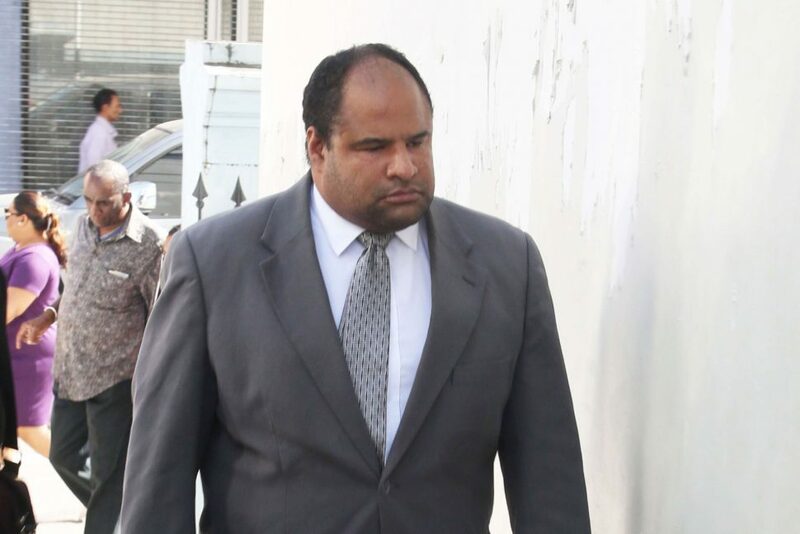 (Trinidad Guardian) The State has again amend­ed its case against High Court judge Kevin Ram­cha­ran. Ram­cha­ran was ini­tial­ly charged with drunk and dan­ger­ous dri­ving af­ter he was in­volved in a mi­nor car ac­ci­dent in Mar­aval in May. When the case came up for hear­ing be­fore Mag­is­trate Du­ane Mur­ray in the Port-of-Spain Mag­is­trates’ Court yes­ter­day, State pros­e­cu­tor Mauri­cia Joseph said the Of­fice of the Di­rec­tor of Pub­lic Pros­e­cu­tions (DPP) was dis­con­tin­u­ing the dan­ger­ous dri­ving charge and sub­sti­tut­ing it with care­less dri­ving charge. Mur­ry read the new charge to Ram­cha­ran, who plead­ed not guilty as he had pre­vi­ous­ly done with the oth­er charges. Un­der the Mo­tor Ve­hi­cles and Road Traf­fic Act, dan­ger­ous dri­ving car­ries a $10,000 fine and five years im­pris­on­ment up­on con­vic­tion. Care­less dri­ving car­ries a $1,000 fine. Un­der the leg­is­la­tion, dri­vers con­vict­ed of ei­ther of­fence may be tem­porar­i­ly barred from hold­ing a dri­ver’s per­mit by a mag­is­trate. The amend­ment was the sec­ond re­quest­ed change since Ram­cha­ran was charged. On his first court ap­pear­ance, po­lice ad­mit­ted that they had made an er­ror in his pa­per­work for the drunk dri­ving charge. They mis­tak­en­ly wrote that Ram­cha­ran was charged un­der Sec­tion 70 (4) (1) of the Mo­tor Ve­hi­cle and Road Traf­fic Act when he was in fact charged un­der Sec­tion 70 (A) (1). Pros­e­cu­tors have since been grant­ed per­mis­sion by Mur­ray to rec­ti­fy the er­ror. Ac­cord­ing to re­ports, around 11 pm on May 26, Ram­cha­ran was dri­ving his Land Rover Dis­cov­ery when he was in­volved in an ac­ci­dent along Sad­dle Road, near to Piz­za Boys/Church’s Chick­en. When po­lice ar­rived on the scene, Ram­cha­ran was ad­min­is­tered a breathal­yser test. He al­leged­ly reg­is­tered a read­ing of 55 mi­cro­grammes of al­co­hol for every 100 mil­li­l­itres of breath. The le­gal lim­it is 35. The charge was laid by PC Ron­dell Ro­many of the St Clair Po­lice Sta­tion and Ram­cha­ran was re­leased on $15,000 bail. Ram­cha­ran will reap­pear in court on De­cem­ber 17, when his lawyers are ex­pect­ed to make pre­lim­i­nary sub­mis­sions in the case. Ram­cha­ran is be­ing rep­re­sent­ed by Gilbert Pe­ter­son, SC, and Kei­th Scot­land.